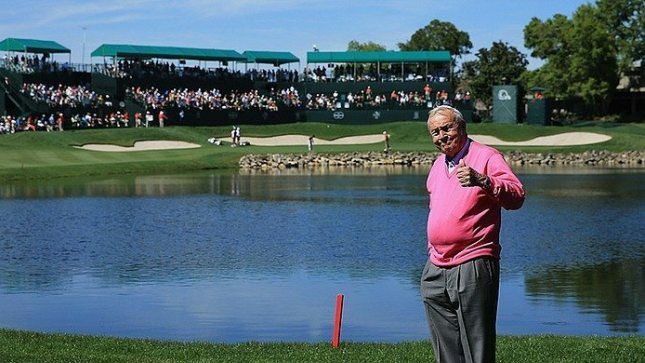 Is skipping the API a slap in the face to Arnie’s legacy? What was your take on Adam Hadwin’s first PGA Tour victory? Jim Deeks, Fairways Magazine (@jimdeeks): No disrespect to Adam, but I was thinking “gee, it’s about time”. I’ve been waiting for Adam Hadwin to step up and win a Tour event for a few years — ever since his T-4 in the Canadian Open at Shaughnessy in 2011. I love his simple, quiet, elegant swing, and his demeanour which seems to be calm and happy. 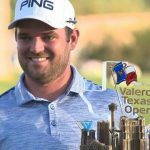 I don’t think the Valspar will be his last Tour win by any means. 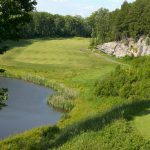 Craig Loughry, Golf Ontario (@craig Loughry): CANADA CANADA CANADA. Loved watching Haddy pull it off. He played smart, he had one lousy tee shot at the worst time, but as we all saw, he stayed patient to the end. I think that’s what won him the tournament. 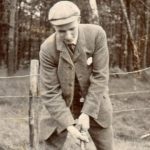 Sure he hit great shots, made a mountain of putts, but it was clear to me his plan was to play smart, make the field catch him as opposed to him backing up. Dave Kaplan, Freelance Writer (@davykap): I was especially surprised by Hadwin’s composure throughout the final round. Hadwin’s demeanour stayed the same from the 1st to the 18th hole, even when things were starting to get a little tense coming down there stretch, and I think that was the key to claiming his first title. The old Hadwin likely would have fallen apart mentally after putting his tee shot into the water on 16, but the new, more mature Hadwin collected himself and calmly went about trying to get off the hole in a double bogey or less to keep his hopes of victory alive. The Canadian has only missed one cut this year in 10 tournaments, amassing a runner up finish, a 59, and now his first career victory — and it’s not even April yet! If he continues to play and putt at this elite level, he is going to have a very lucrative 2017! 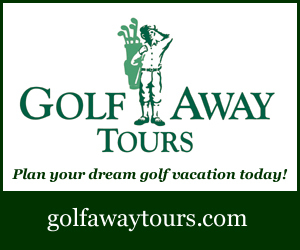 TJ Rule, Golf Away Tours (@GolfAwayTJ): Wow, what an amazing final round to watch. I was so impressed by both Cantlay and Hadwin, and how well each of them held up, just the one blip for Adam on 16, but otherwise hit the ball like a champ, and putted the lights out. But it still came down to a bad mistake by Cantlay on the 72nd to hand it to him. Hadwin has certainly elevated himself into the top tier of players this year, with his performance at the Career Builder and then his first victory. And hopefully his first President’s Cup appearance later this year! 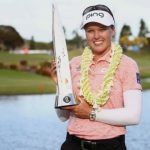 It’s always exciting watching a Canadian who is in contention on the PGA or LPGA Tour, and I was on the edge of my seat all day Sunday. Here’s to DeLaet or Hearn adding to the number of Canadian victors in 2017. Hal Quinn, Freelance Writer, Vancouver: The best thing about Hadwin’s win was that he played the 16th exactly as I would. Absolutely brain dead flail, oh my. Roger Maltbie gave him the gears Saturday on air about he and his caddy were talking so much — and implying that they were playing so slow — and it was very gutsy/fun that Hadwin called Maltbie on it on the first tee. Very Canadian Cool. Yet, after all the talk on Sunday he and his caddy lined up in the middle of the tee box on 16, when they had lined up far right every other day and hit the fairway. That pond shot was an all-time great WTF? moment. But, what a sand wedge blade shot on the 72nd. So happy for him. He is a great guy, first interviewed him as an amateur star, and he’s still Moose Jaw-Abottsford real. Peter Mumford, Fairways Magazine (@FairwaysMag): The thing that struck me most about Hadwin all week was his composure. He seemed to keep everything in balance. There was the occasional fist pump when he made a long bomb but nothing over the top. Even when he dumped his tee shot in the pond on 16 on Sunday, he was still pretty unflappable. I think that really helped him steady himself to make par on the last two holes. All of golf’s mental gurus have been telling us this for years but it’s hard to maintain an even keel when stuff is happening. If he’s got that kind of control now, I’d say watch out. Even on the PGA Tour, that’s a rare and very valuable commodity. USGA Executive Director Mike Davis opened the bifurcation door a crack at the Vancouver Symposium when he talked about a special Tour ball that would only go 80% as far as current models. Do you like the idea and would it work? 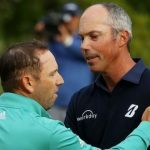 Deeks: No, I don’t like the idea of dialing back the ball for Tour pro’s. I love to see them bomb the ball 100-150 yards further than I do with the exact same driver, and I can’t imagine there’s a single spectator who’s thinking, “gee, if only they could only hit it 275”. What purpose would a shorter ball serve… artificially punish them for being too good? And where do you start, and stop, with this folly… just the PGA Tour? Or pro tournaments for under 50s? Or only players who can hit it 300? Or only tournaments played up to 500 feet above sea level? Seriously… if you think the ball needs to be dialed back, dial it back for everyone… then duck when the you-know-what hits the fan. 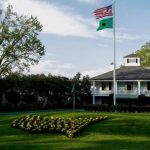 Loughry: I don’t like the sound of it, BUT I like the idea, for one reason, and one reason only, it would bring more venues back into rotation for the Tour, PGA Championship, US Open and the like. 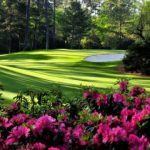 Let’s stop with the multi-million dollar renovations for one week a year (how about Augusta recently purchasing more land to allow for more tee additions?) That is simply ridiculous, they’re running out of places to play (without having to artificially trick up courses with heavy rough and narrow fairways). Why do you think they’ve gone to the likes of Bethpage Black, Chambers Bay, and soon to be Erin Hills? It is out of necessity. They’re all great venues in their own right but it’s because many classic designs are obsolete for Major or Tour golf and I’d like to see some of those come back. Rule: I have always been in favour of dialling back the golf ball distance for the pros, but the more I think about it, the less it bothers me that guys hit the ball 350 yards plus. It excites the fans, and ultimately most courses these days can be set up to counter-act the distance, whether it’s by extending it to almost 8,000 yards or tightening it up like Hilton Head or Hamilton or Merion. Sure we’ll never see a Canadian Open at a course like Capilano, but St George’s and Hamilton can still hold themselves up to the increased distance. So I say let them continue to bomb it, and wow the fans with the current ball. Quinn: OMG, this came up over breakfast in 1982 with what’s his name, oh ya, Jack. To my mind, letting amateurs play exotic drivers or whatever — so they can hit it freakin’ 200 yards — has always been the way the game’s rules meisters should go. Bifurication — what a pompous term for a game that is supposedly reaching out to the common woman and man. Just call it Pros and Hackers. But the Tour is beyond that, the moment has been lost. DJ and his pals are hitting it so far that it has become part of “The Show.” It’s like an Eldrick hangover. The pseudo-fans are there for the bombs. The golfers are there for the shots. Let the duffs and sandbaggers hit whatever they want — when not playing for anything — and let the pros pimp the latest drivers and balls. Mumford: Unless Augusta National decides to implement a “Masters ball” it won’t happen. 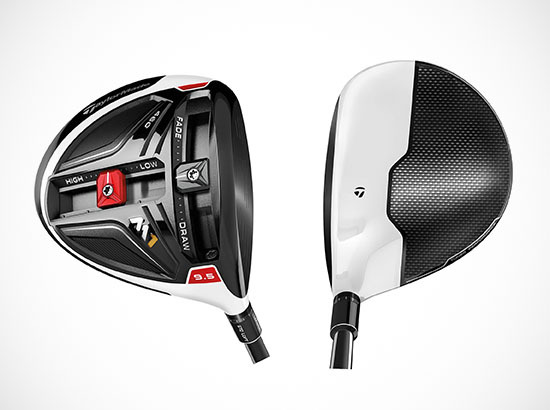 Part of the allure of golf is playing the same courses and equipment as the best players in the world, which is actually ridiculous because the comparison isn’t remotely accurate, but it lets the OEMs sell lots of high priced clubs to hackers, bunters and chops. The time on the PGA Tour for a shorter ball has passed. As Quinn says, 350 yard drives are now part of the Show and nobody is going to mess with that. A lot of PGA tour players are skipping the Arnold Palmer Invitational at Bay Hill this week citing scheduling issues, Master’s prep and so on. Is that a slap in the face to Arnold Palmer’s legacy? Deeks: I suppose if Arnold was still around, many of the no-shows would think twice about giving this event a pass, but I’m sure none of them is intending to slap his legacy in the face now that he’s gone. The fact is, with the obligation to four majors, four WGC’s, The Players, the FedEx playoffs, the Presidents (or Ryder) Cup, and the minimum appearance rule, significant Tour players need to be given some slack in picking and choosing the “run of the mill” events. And Arnold’s presence notwithstanding, as a fan, I’ve always considered Bay Hill a run of the mill event. Loughry: And I mean this: any player that skips this week’s API doesn’t deserve to come back. This year, of all years, you set aside to pay tribute to the King if you have any respect for the Tour, how much money you are making (you can thank him, you’re welcome), and the game, because we will always celebrate our best ambassadors throughout history. Any player who was eligible and not showing this week short of a birth, or family death (maybe even a wedding), should feel shame, they made a BAD choice. I already have my box of tissues set aside for this week, as I know I’ll be a little emotional. Kaplan: Yes, it is a massive slap in the face to the King’s legacy. 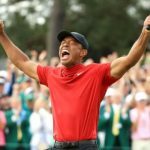 I understand there are scheduling issues — that the schedule is cramped, that the PGA Tour did a pretty lousy job scheduling their Florida swing this year, and that the Masters is upcoming — but this is the first API since Palmer’s death and I think it’s shameful for so many top ranked players to skip the event. It would be a statement, an homage to Palmer even, if the world’s best players all attended despite the scheduling issues. However, as we saw last year with all of the Olympic withdrawals, most of these guys are me-first and care little about doing the right thing. Shame. Rule: I certainly don’t think it’s anything personal to Arnie, he was way too respected by everyone for that to happen. I do think that since he isn’t there, that might cause some people to skip the event. However, since it’s the first one without Arnie, I believe the players should try their best to show up and honour his legacy. I fear for the health of this event moving forward without the King there to attract the big names. Quinn: As Ian Poulter had the guts to explain, it’s the course. 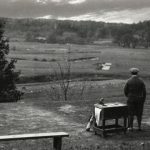 The King got great fields at his tourney because he was, and still is in many ways, The King. But in his legendary career, he has never been accused of designing a great golf course. It’s not a slap in the face, just a dose of reality. 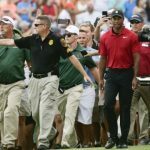 Mumford: I can’t imagine that any player on the PGA Tour isn’t aware of what Arnold Palmer did for them and most of them honoured him constantly during his lifetime. And not just by showing up at his event either. It would be a nice gesture if they chose to play this year but if they don’t, nobody should think any less of them or think they don’t appreciate Palmer’s contribution and legacy. The fact is, with Arnie gone, the API is just another tournament now and not at an ideal time on the schedule.